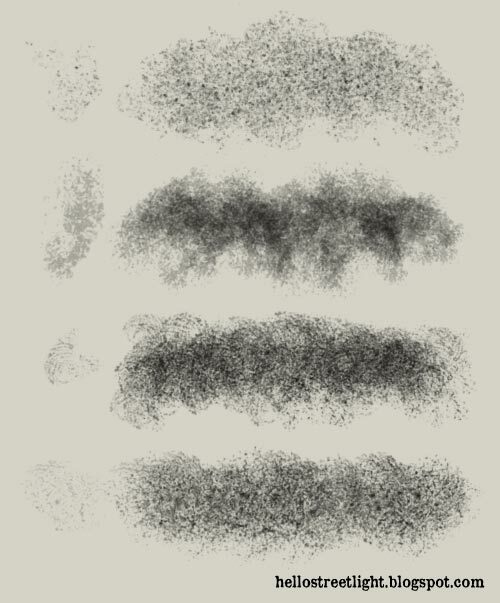 Here's a couple of texture brushes I created for a personal project I was working on. I needed some metal textures so I extracted some from a clockwork photo I had (which was also added in the artwork itself). 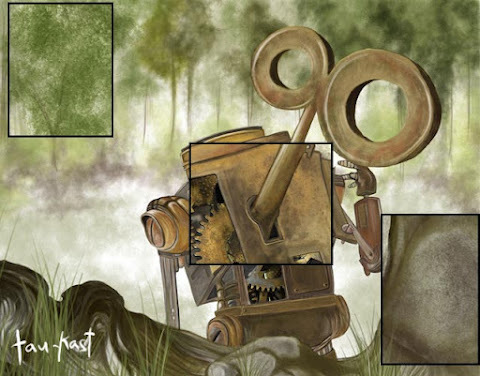 But as you will see on how I used it below, the brushes are not limited to adding only metal textures. I was able to create the trees in the background using the second brush in the set. I just removed the blur from the zoomed area so that you could see it better. I also added texture on the rocks and also on the robot - which looks more like dirt because of the settings and color I used. Thank you kindly! This has such awesome possibilities!